The Berwick Branch Annual Dinner will be held on Friday 15th March 2019 at the Marshall Meadow Country House Hotel Berwick upon Tweed, 7.30 for 8pm. 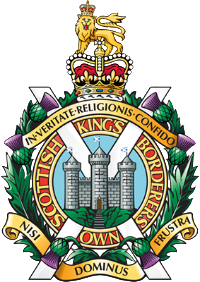 The Dinner is open to all Members of The King’s Own Scottish Borderers Association, their wives, families and friends. The cost of the three course dinner will be £25.00 per person which also includes great entertainment during the evening. Major Ken Fraser, Chairman of the Berwick Branch, will be most grateful if those who wish to attend email him no later than 8th March 2019 at kenfraser74@gmail.com or by telephone to 01361 883256. Additional accommodation is also available at the Travel Lodge situated on the North Road Berwick upon Tweed Telephone Number 0871 984 6279 and lots of B&Bs in Berwick. It is with deep regret that we inform you of the death of Joe Hunt who died peacefully at home in Whitstable, Kent on Tuesday 15th January 2019 aged 92. Joe served with the 1st Battalion King’s Own Scottish Borderers during the latter stages of World War 2 and in Palestine. He regularly attended the Berwick Minden Parade and the National Remembrance Parade at the Cenotaph, London. Funeral service details to be notified. The pallbearers are being furnished by 6 SCOTS.